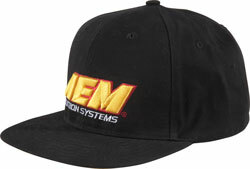 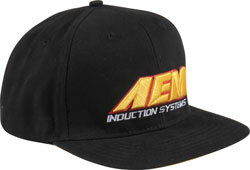 This flat billed black AEM hat has the AEM Induction Systems logo embroidered on the front in yellow and white. 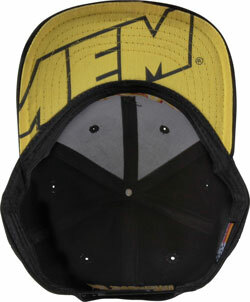 The under bill color is yellow with the AEM logo. 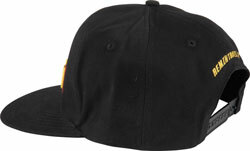 The Velcro back strap adjusts to various head sizes.